Richard Erickson tackles the intimidating subject of Greek exegesis with a refreshing skillfulness which puts you on the road to becoming a responsible and reliable interpreter of Scripture. Most intermediate to advanced Bible students are excited about learning to interpret the Bible, but the thought of exegetical method evokes a chill. Some textbooks on exegesis do nothing to overcome these apprehensions. The language is dense. The concepts are hard. And the expectations are way too high. However, the skills that we need to learn are ones that a serious student will use every week. Exegesis provides the process for listening, for hearing the biblical text as if you were an ordinary intelligent person listening to a letter from Paul or a Gospel of Mark in first-century Corinth or Ephesus or Antioch. 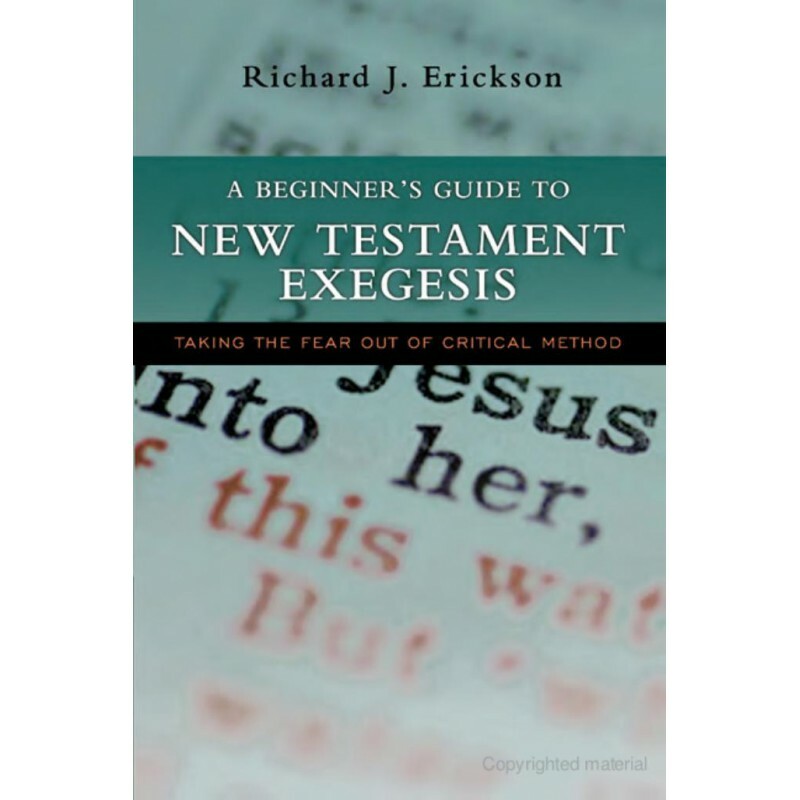 Richard Erickson will help you learn this skill by clearly introducing the essential methods of interpreting the New Testament, giving you a solid grasp of basic skills, and all the while, encouraging practice and holding out manageable goals and expectations. He provides numerous helps and illustrations clarify, summarize and illuminate the principles. If you're serious about launching into a study of the New Testament, and have some experience with Greek, then this resource must be part of your library.